As part of an op-ed series, FIU News shares the expertise and diverse perspectives of members of the university community. In this piece, Maria Ilcheva, assistant director of the FIU Metropolitan Center, reflects on Women’s History Month and the state of gender equality in Miami-Dade County. 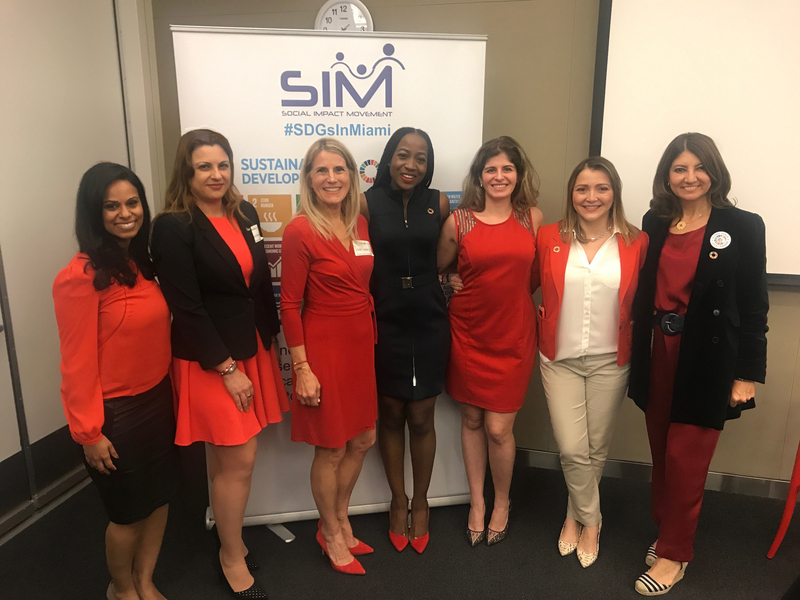 Ilcheva, who recently spoke about these topics at an event organized by the Social Impact Movement (SIM) in collaboration with the United Nations Association – Miami Chapter and Venture Café, has authored three annual reports that track progress toward closing the gender gap in Miami-Dade. For the last 32 years, March has been celebrated in the United States as Women’s History Month. Throughout the month, we see many stories of bold women who exemplify through their life and careers the contributions of women to building a better society. But we also see many other stories of women who are relentlessly confronted by obstacles and challenges because of their gender. It is fitting that while we recognize and celebrate the women leaders, we also acknowledge the barriers that still exist for women’s advancement and equality. In 2015, Miami-Dade became the first county in the country to adopt the United Nations Convention on the Elimination of all Forms of Discrimination Against Women (CEDAW). CEDAW signatories commit to ensuring women’s equal access to, and equal opportunities in, political and public life – including the right to vote and to stand for election – as well as education, health and employment. Starting in 2016, in collaboration with the Miami-Dade Office of the Commission Auditor and the Miami-Dade Commission for Women, my colleagues at the Metropolitan Center and I have authored three annual reports that track progress toward closing the gender gap in Miami-Dade. The annual report is an important demonstration of Miami-Dade County’s commitment to understanding the status of women. In our third report, we noted the stagnation of women’s earnings and the persistence of the wage gaps. In 2017, Miami-Dade female full-time workers made only 86 cents for every dollar earned by men, a 14 percent wage gap. There were almost 280,000 women living in poverty. Women, on average, earned less than men in nearly every single occupation, and some of the most staggering disparities were in the highest earning occupations. Yes, there are more women today than ever before with degrees in law, engineering and architecture. But the gap in legal occupations was 52 percent; 36 percent in computer and mathematical occupations; and 24 percent in architecture and engineering. Women of all major racial and ethnic groups also earn less than men of the same group, with White women earning more than Hispanic or Black/African American women, but less than White men. Neither can we simply say that women are choosing occupations and careers which decrease their earnings prospects. The report shows that the earnings gap exists across occupations and even among college graduates. So, what can you do? Start with understanding the issue – learning not only about the existence of the gender gap, but also the reasons behind it, the processes that feed it and the importance of finally putting an end to it. Gender equality should be a societal concern – women’s rights are a matter of morality and basic human dignity. Everyone can become a change maker and effective advocate for equality. Be involved – join the many voices who already are advocating for equality and participate in discussion groups, learning circles, mentorship events and other opportunities organized by dozens of organizations around Miami, including Miami-Dade County Commission for Women, The Women’s Fund, The League of Women Voters, Social Impact Movement, the Miami Chapter of the U.S. National Committee for UN Women and FIU Women’s Center. To access the 2019 report on the Status of Women in Miami-Dade County, click here.